Your donation helps us fulfill our mission to present, perform, and teach the art form of American jazz; contributes to the vibrant cultural life of Central New York; and boosts the local economy–that’s a triple bottom line! Funds go toward the general fund unless you indicate otherwise in the PayPal message box. 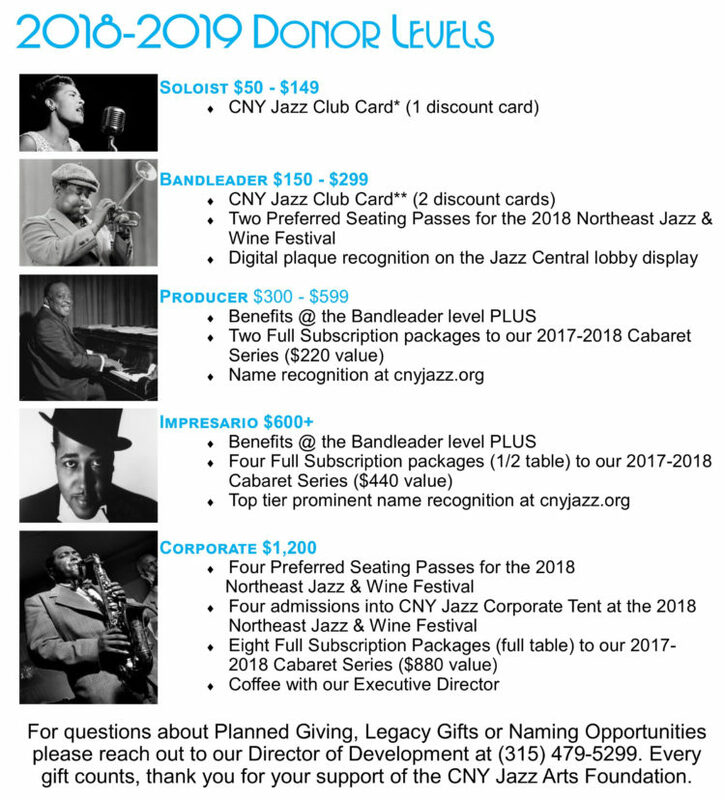 Specific CNY Jazz programs that are always grateful for extra funding are our scholastic programs, summer programs (festivals), and theater/building fund.